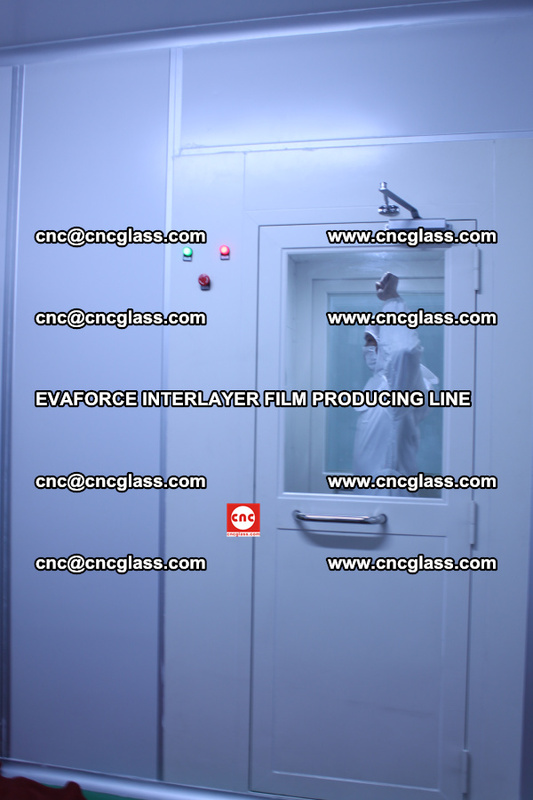 Placing the laminated glass with EVA FILM samples vertically inside the climatic chamber and maintaining them for two weeks at a temperature of 50 degrees and 95% relative humidity. 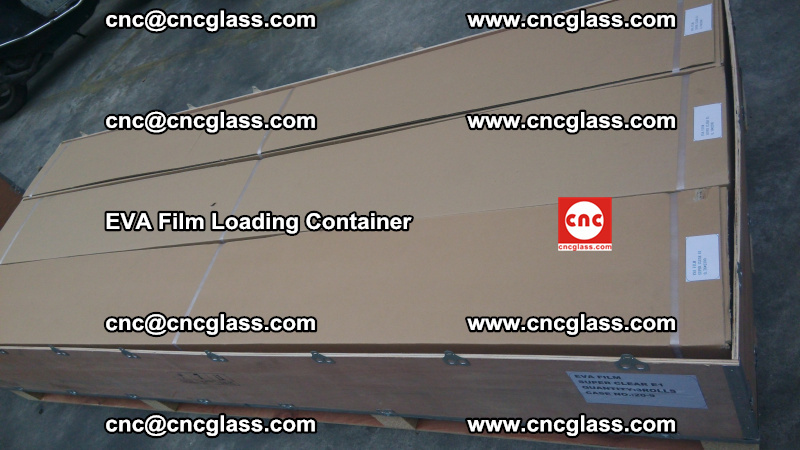 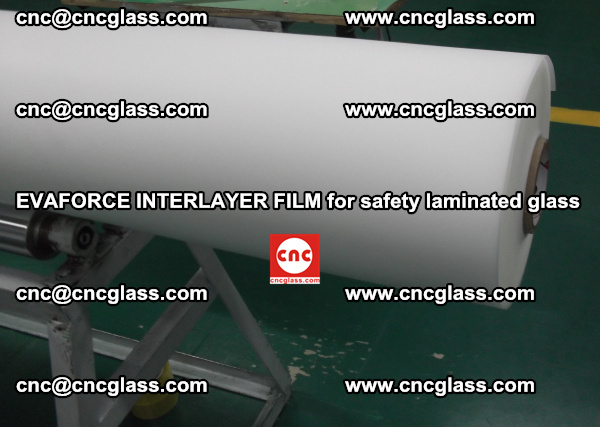 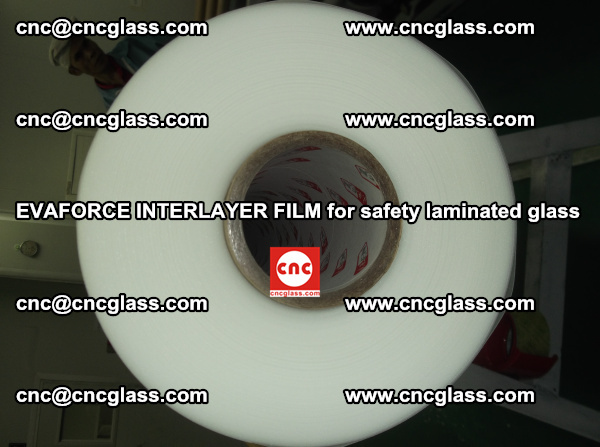 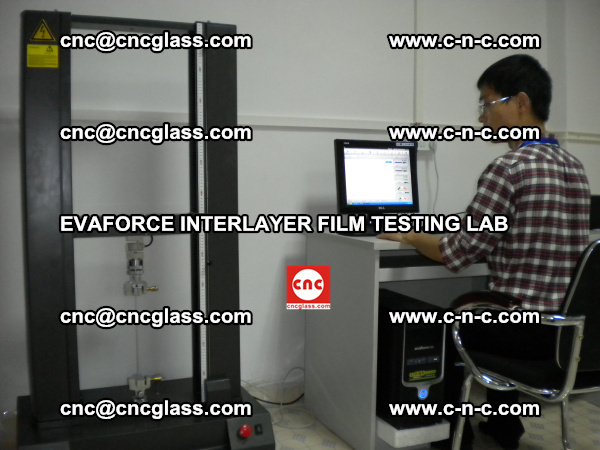 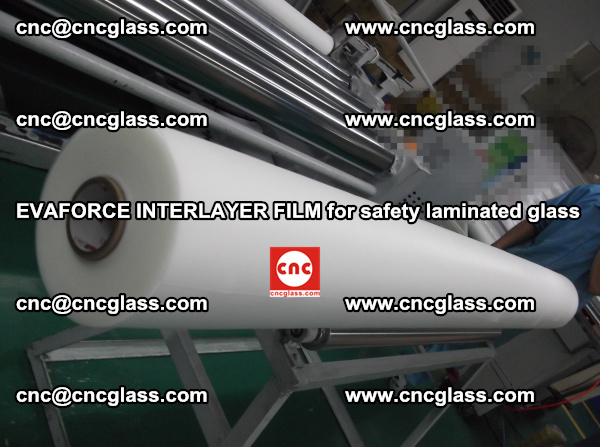 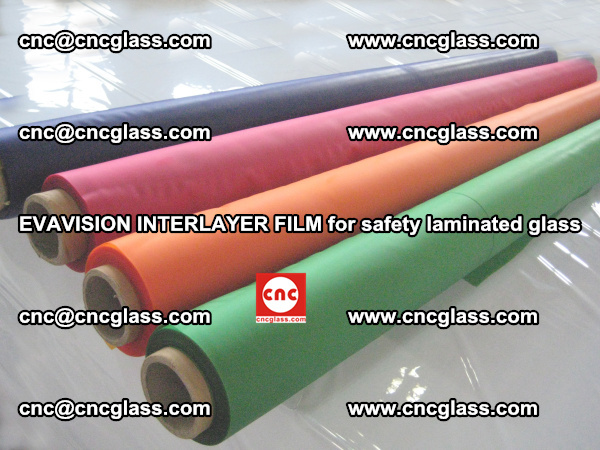 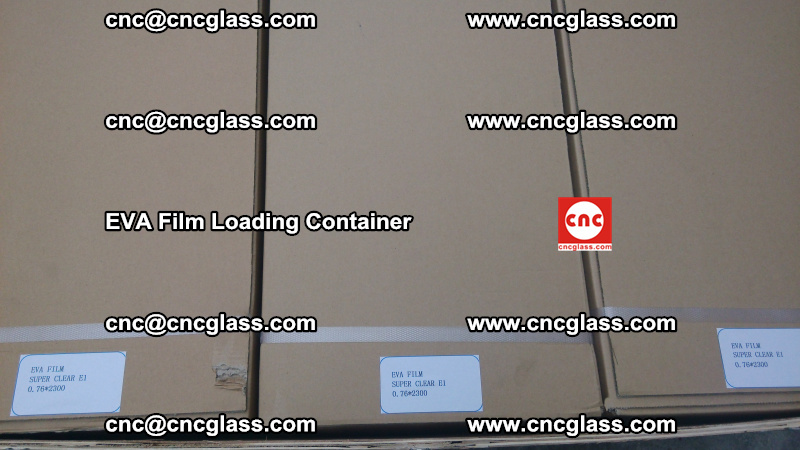 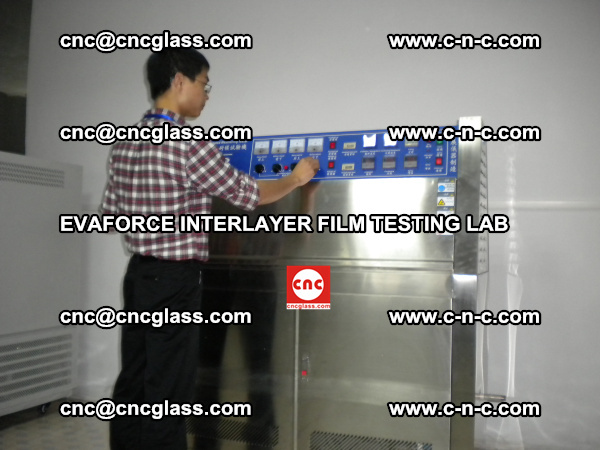 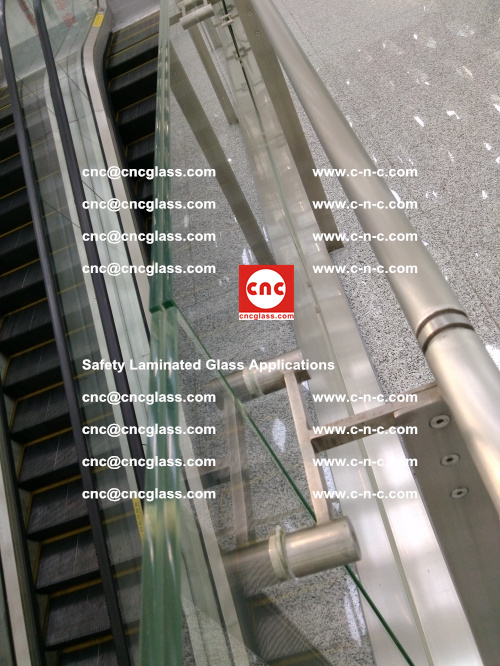 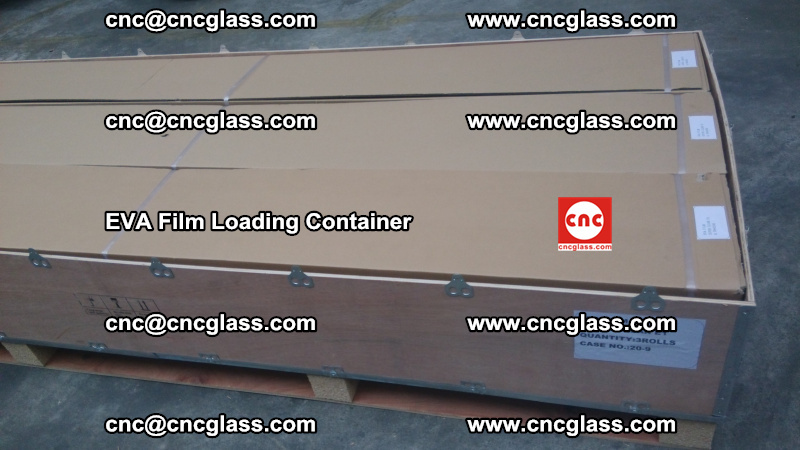 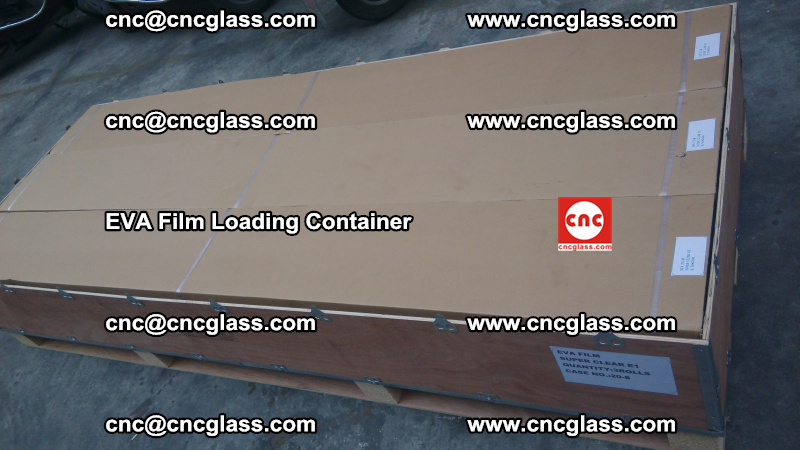 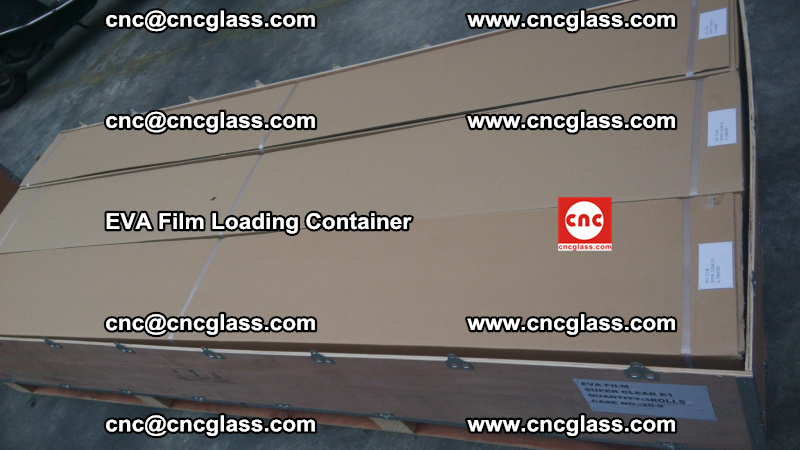 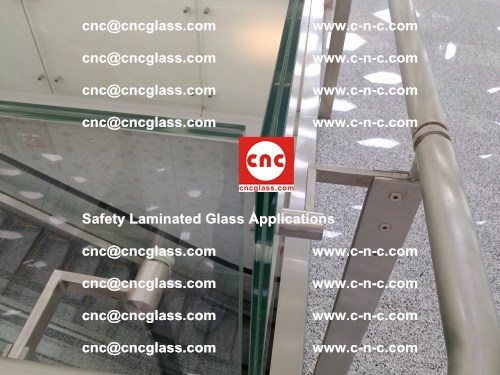 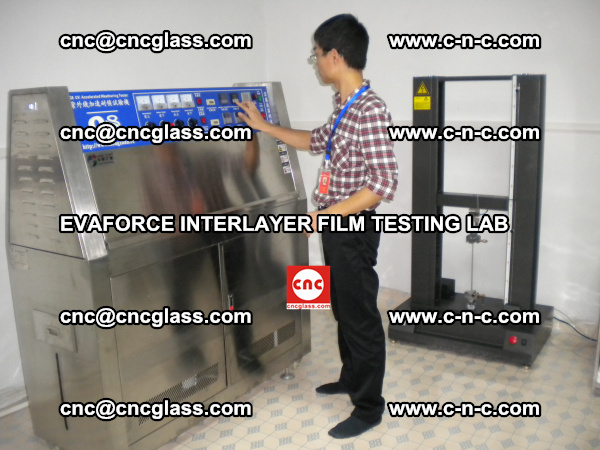 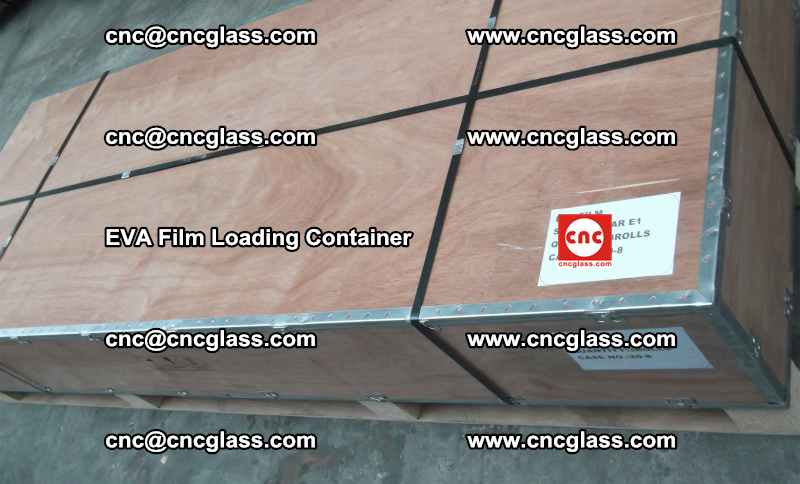 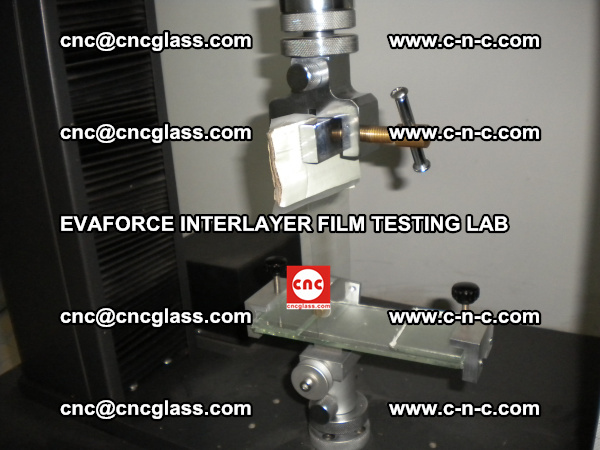 Water condensation on the surface of the laminated glass samples is allowed. 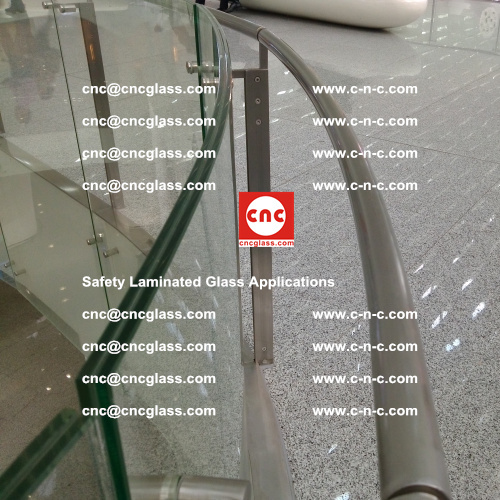 No bubbles or opaqueness are noted in the spacer in any of the laminated glass samples tested. 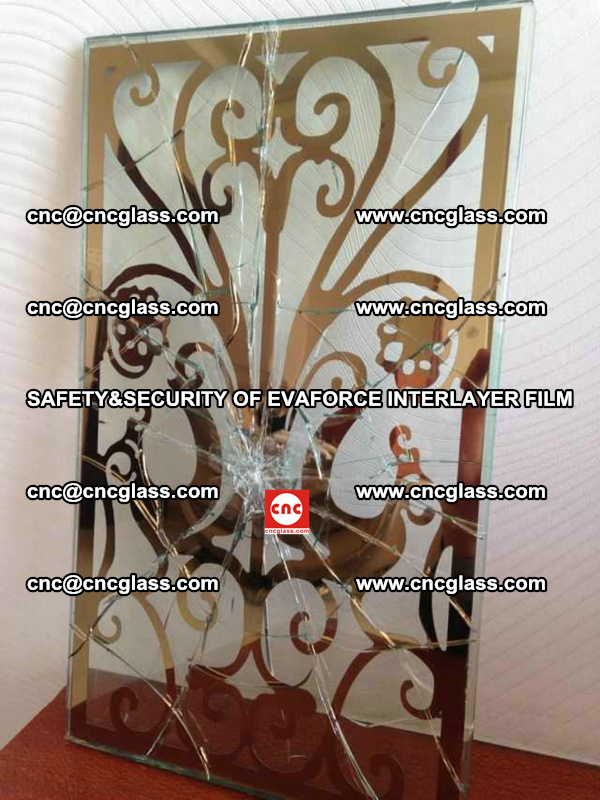 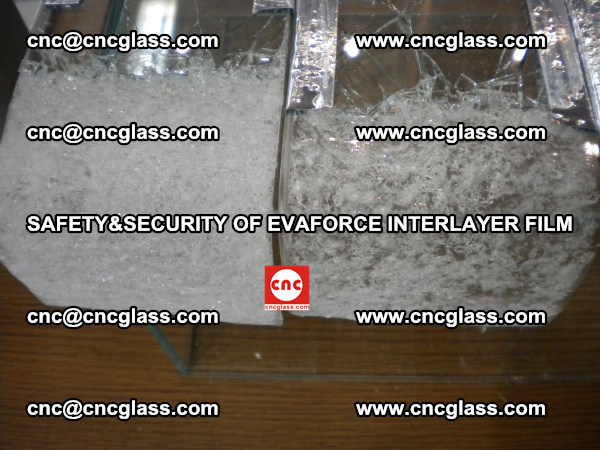 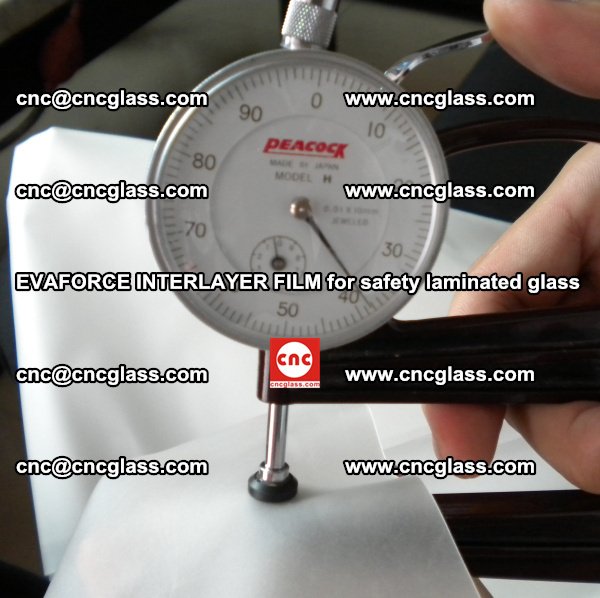 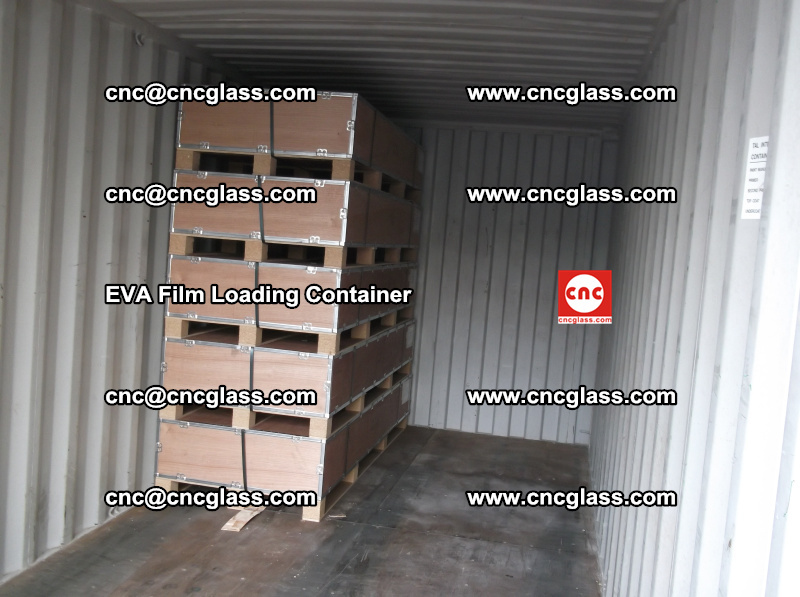 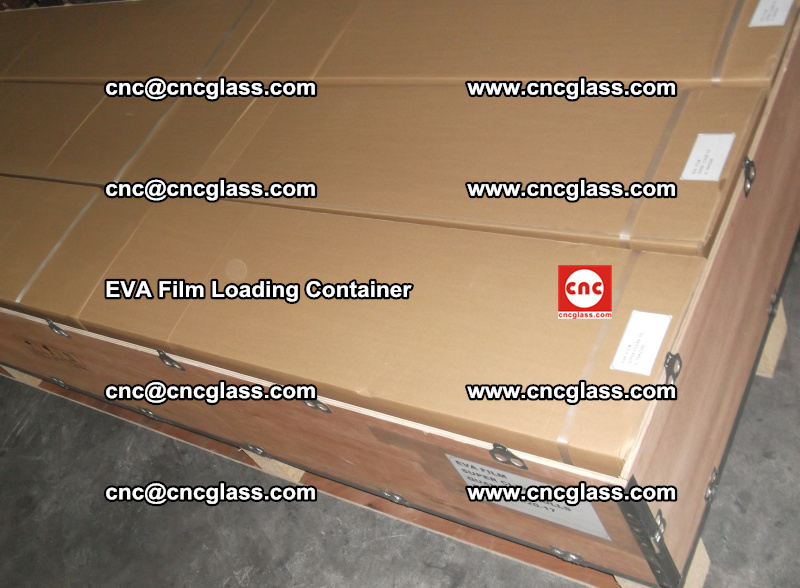 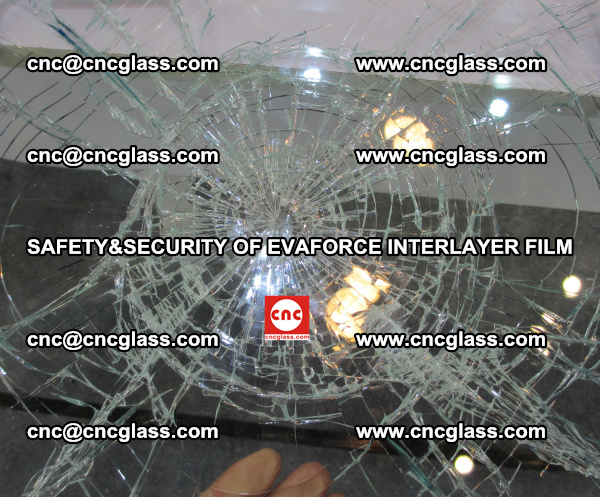 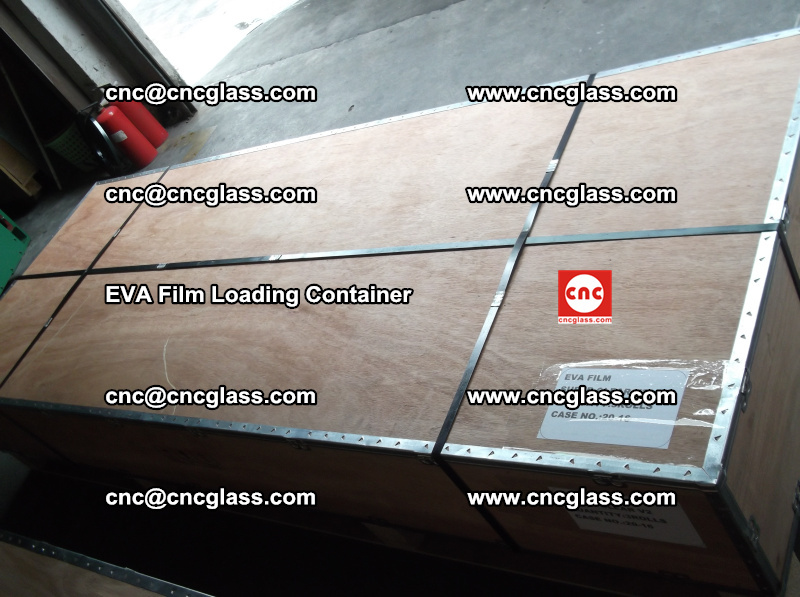 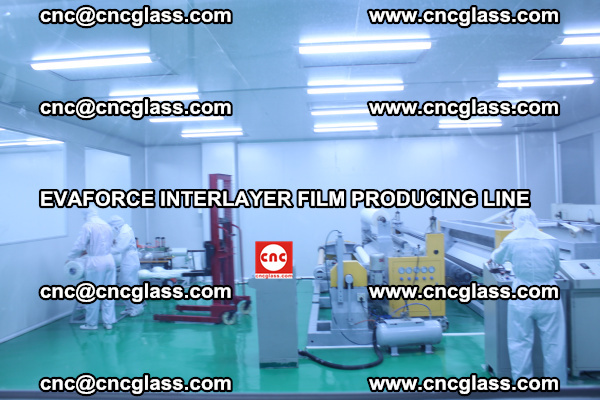 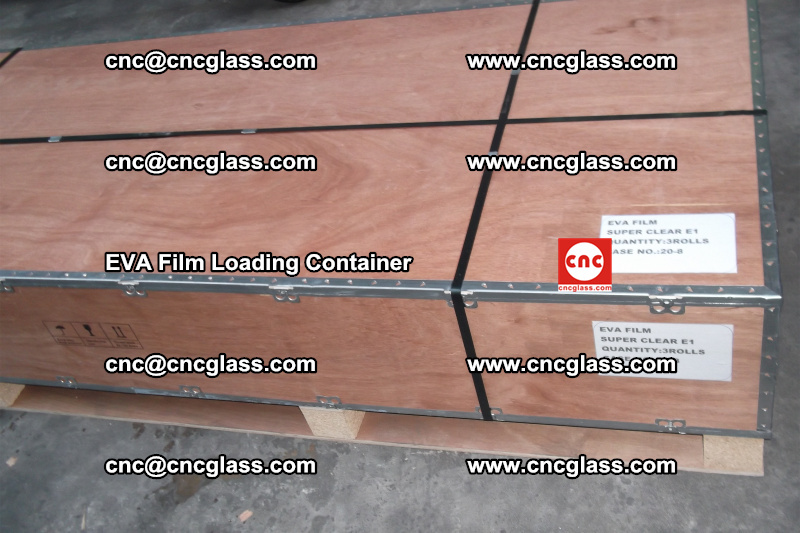 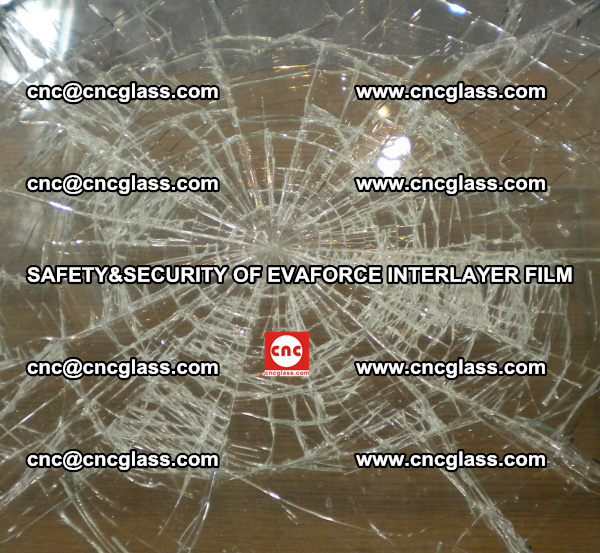 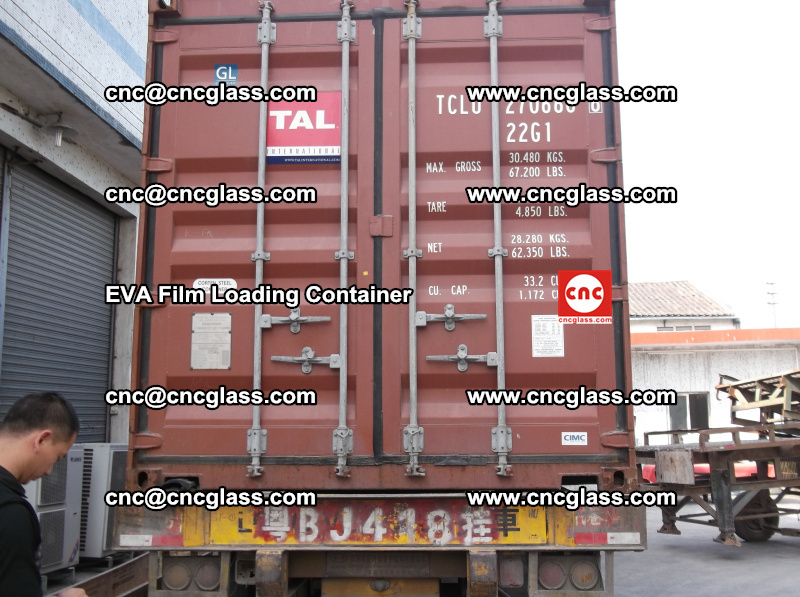 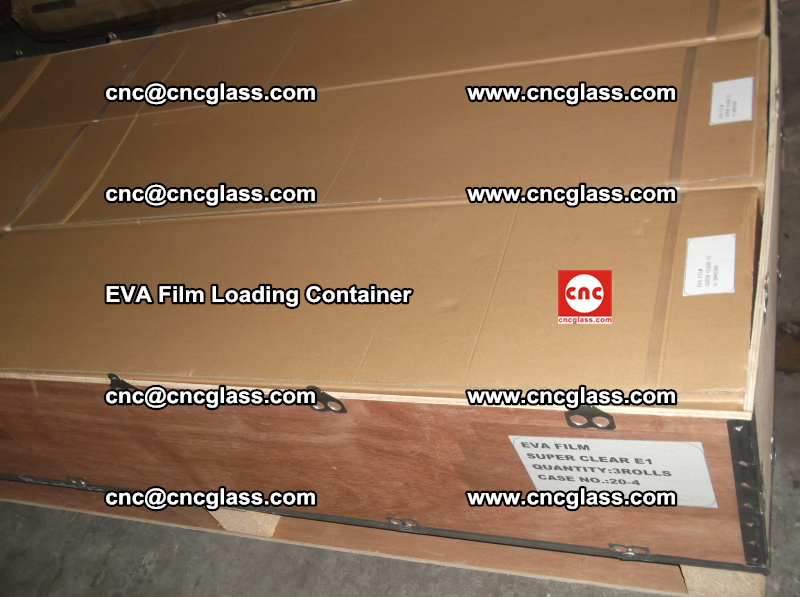 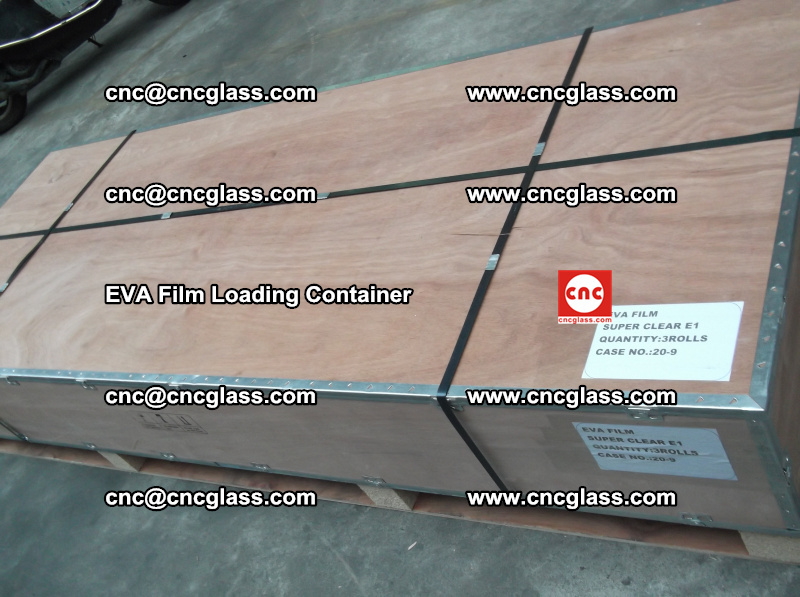 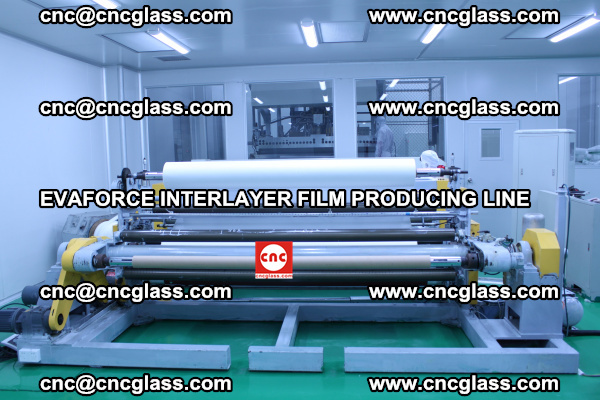 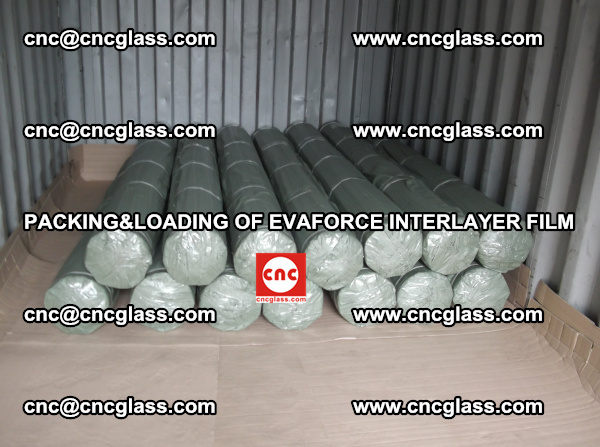 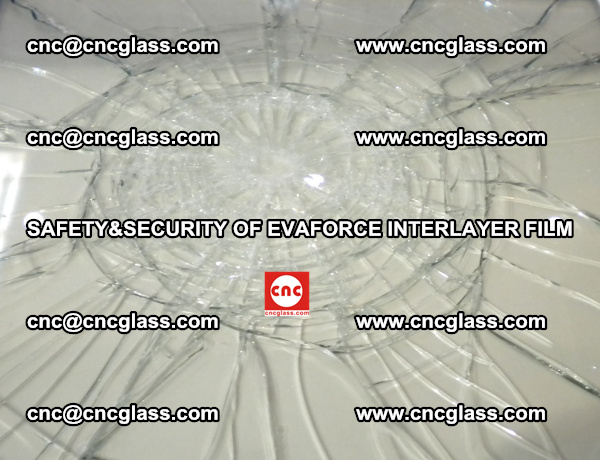 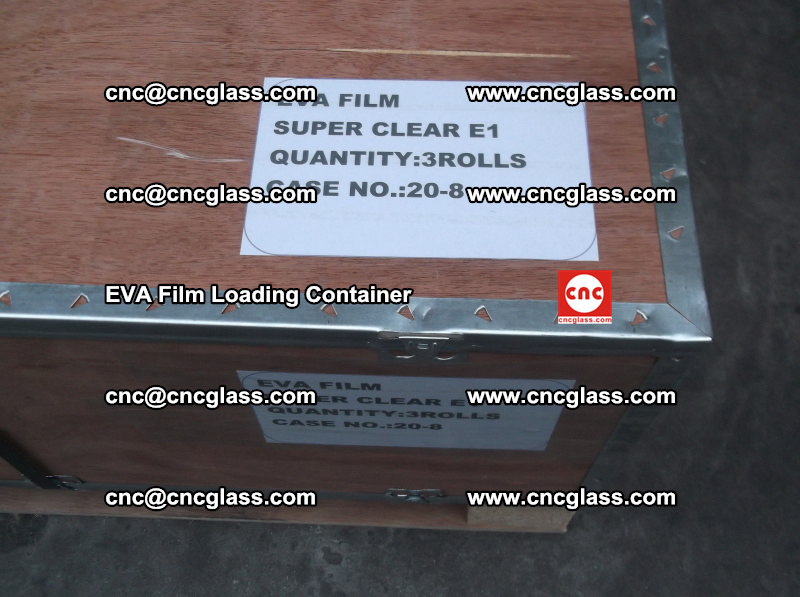 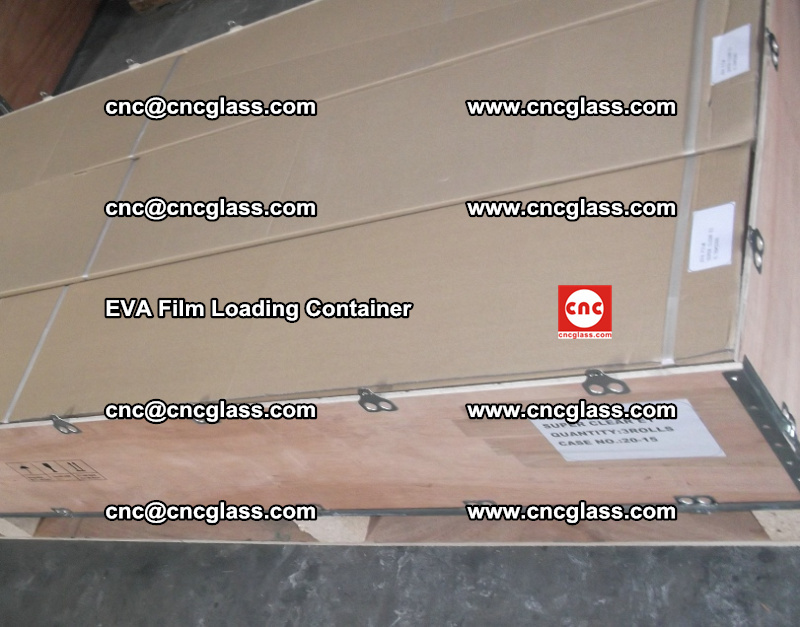 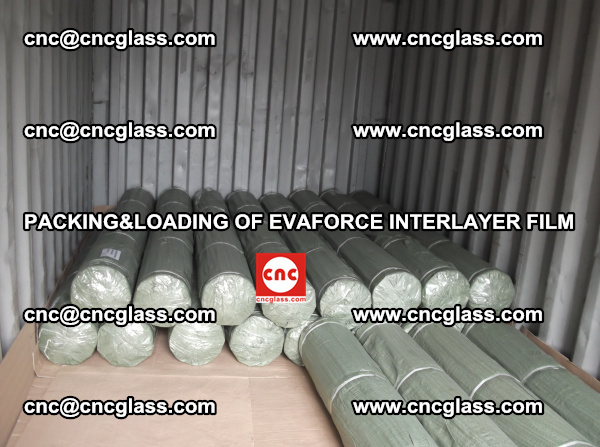 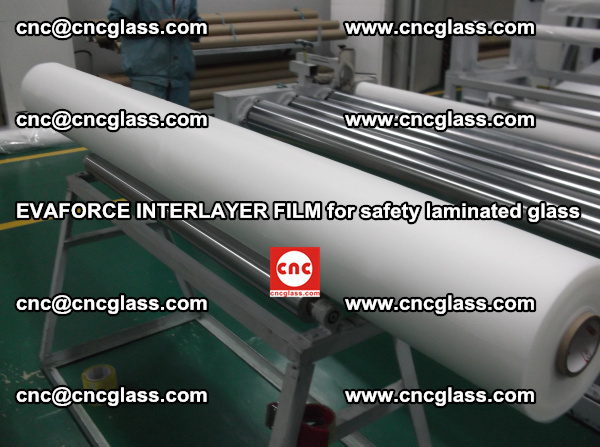 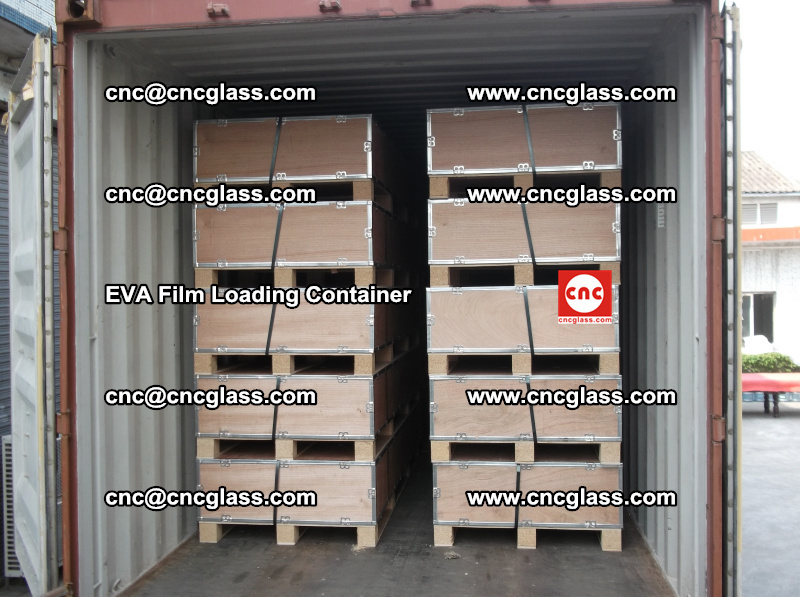 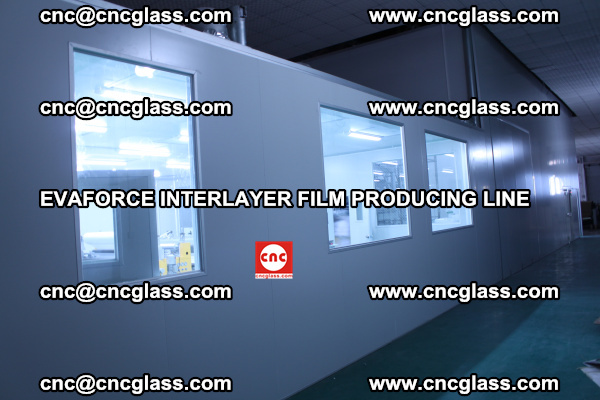 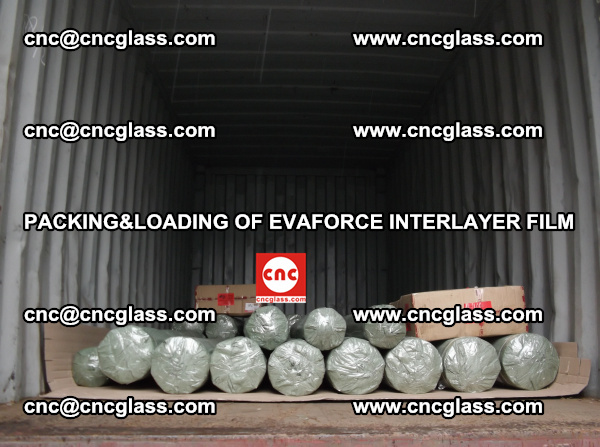 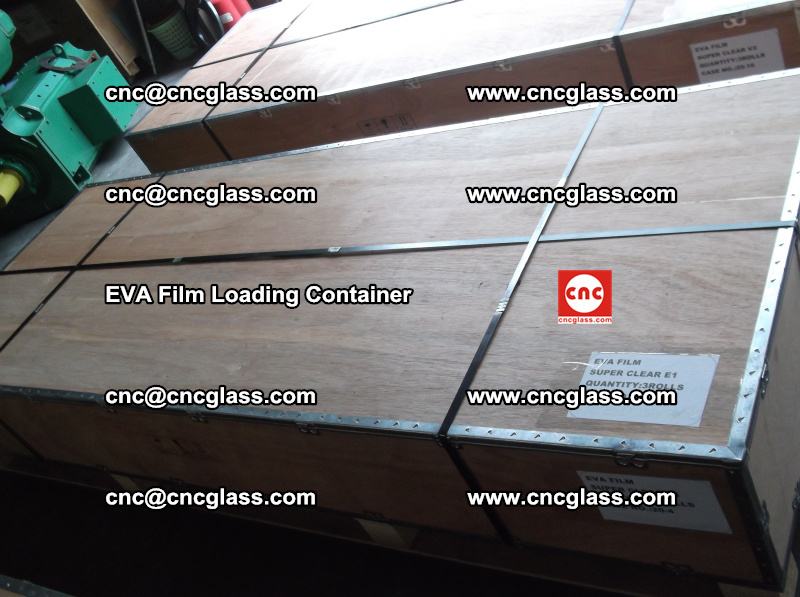 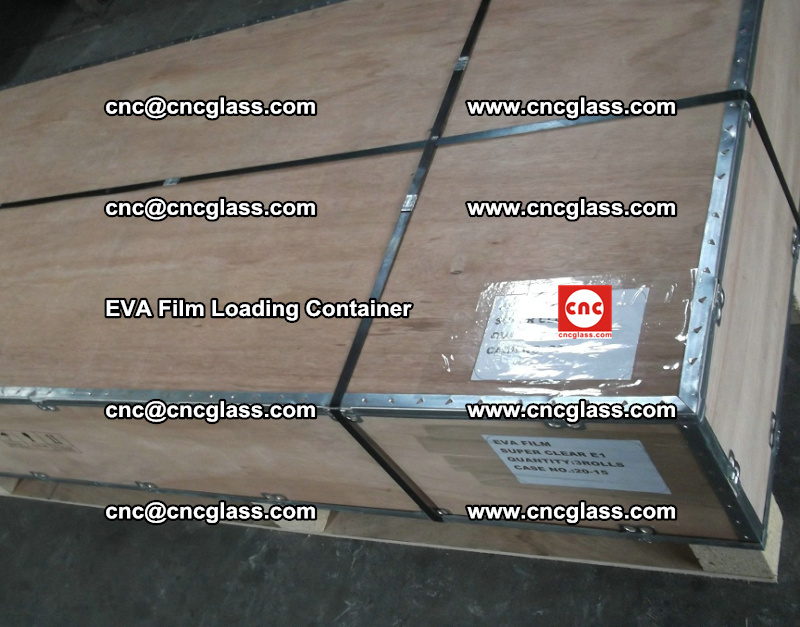 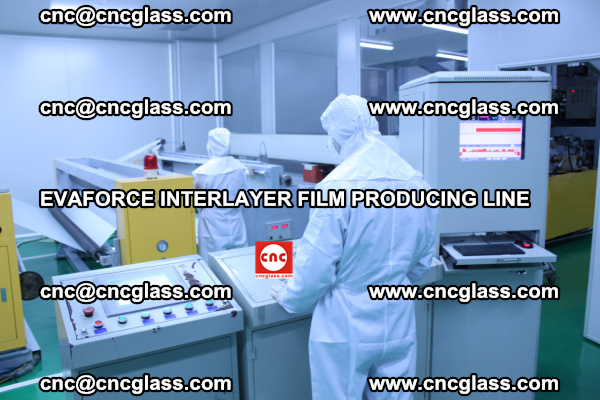 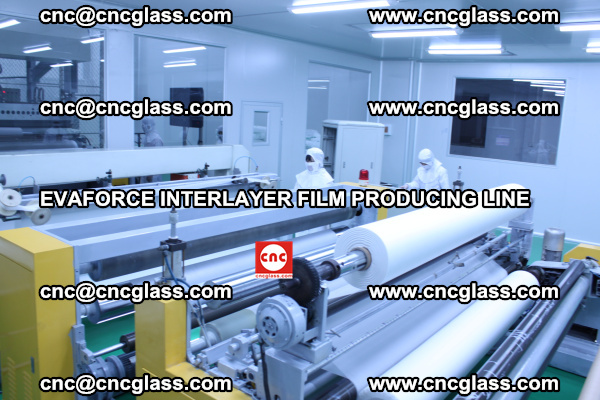 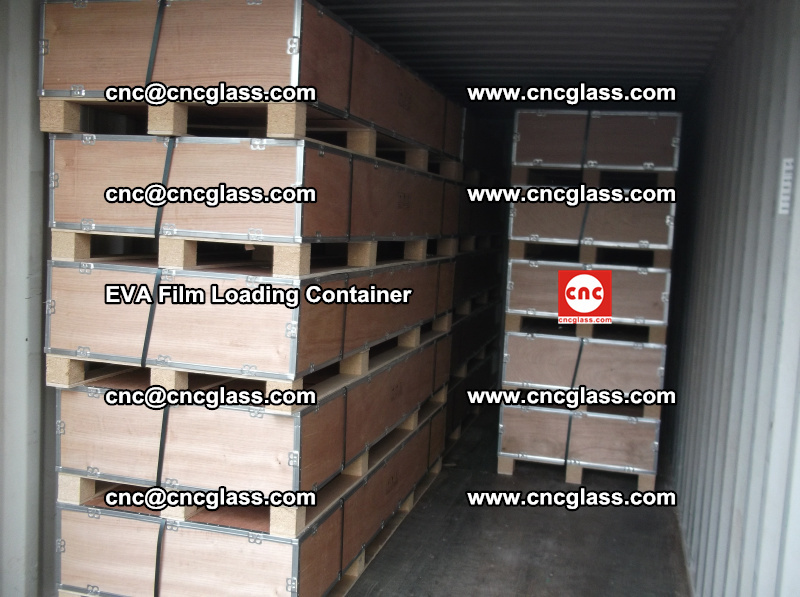 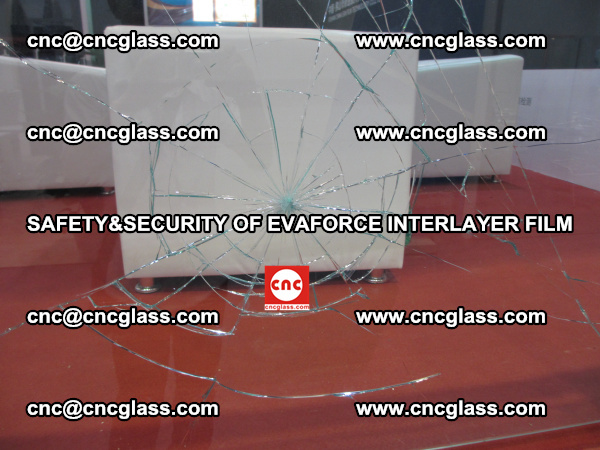 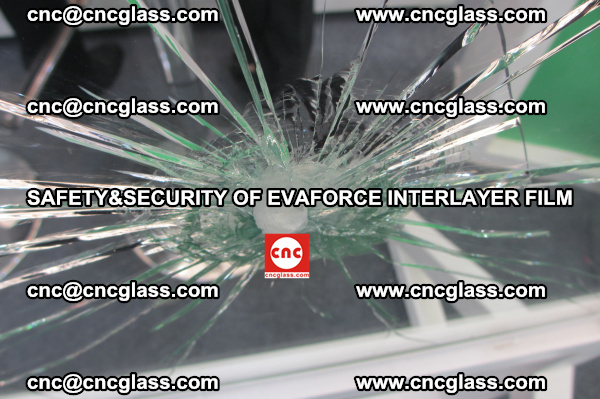 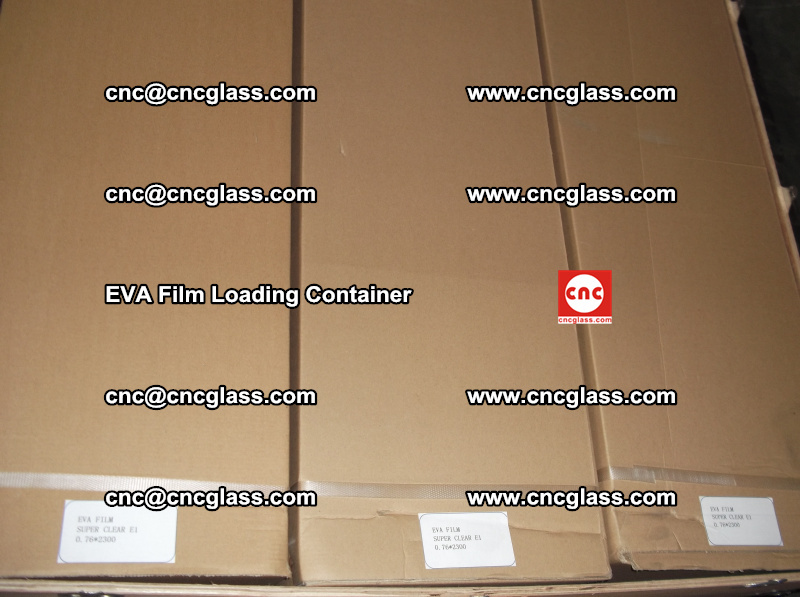 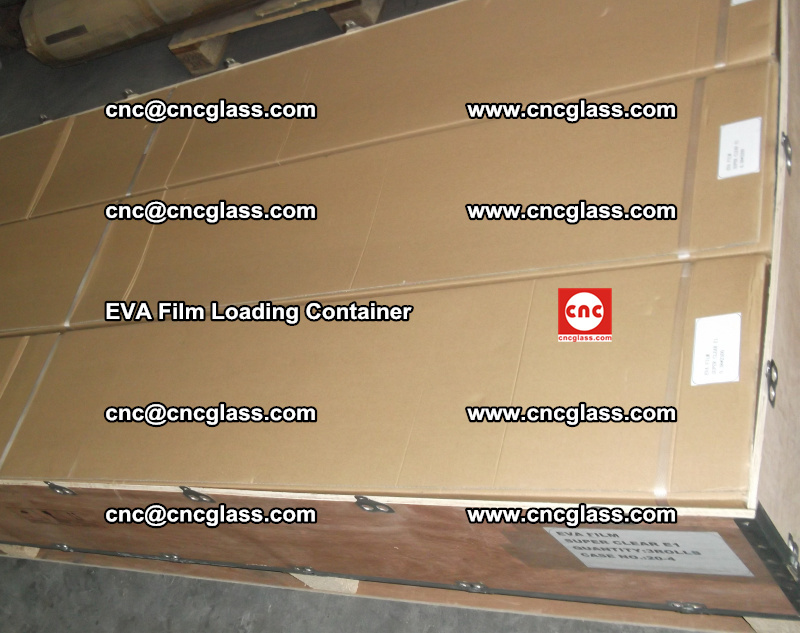 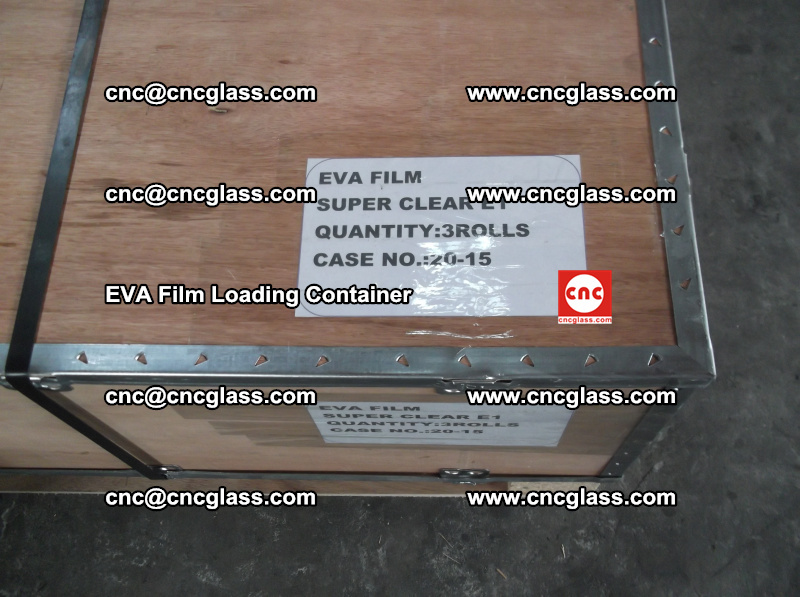 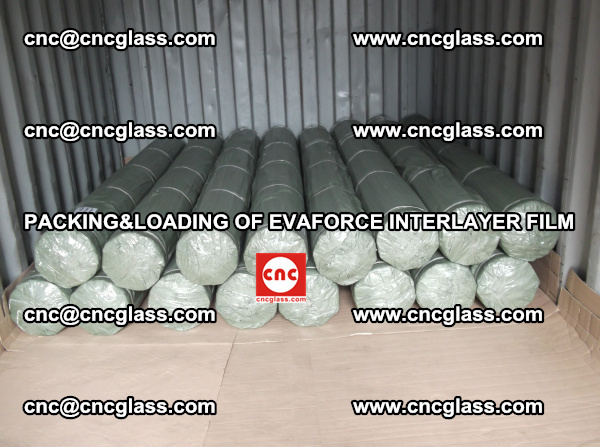 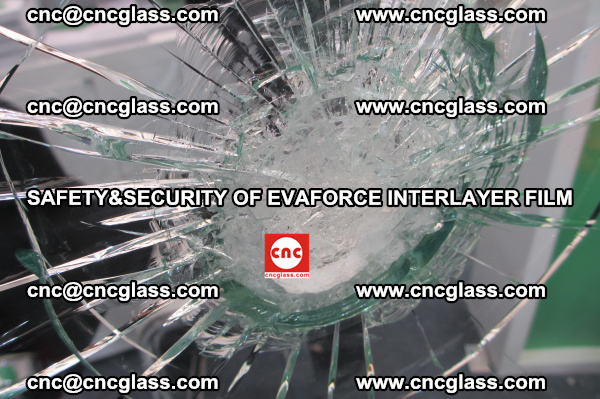 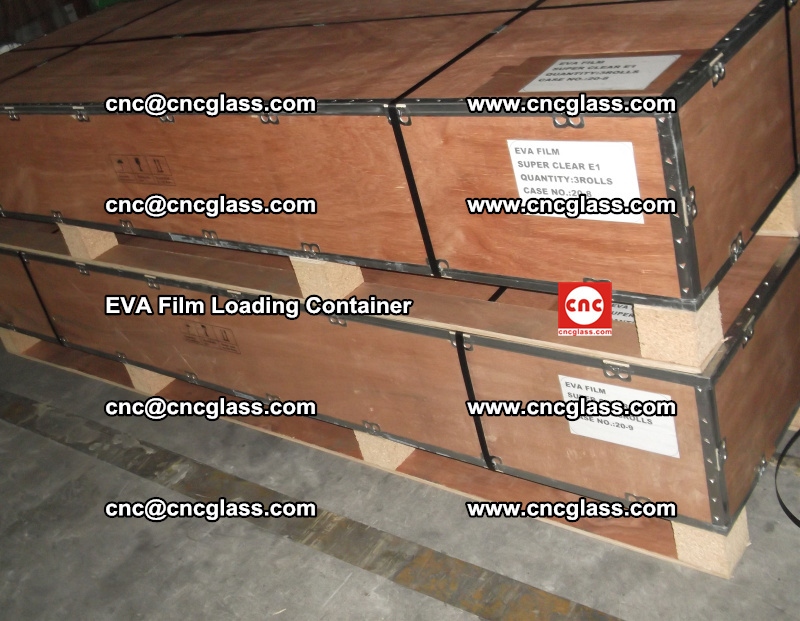 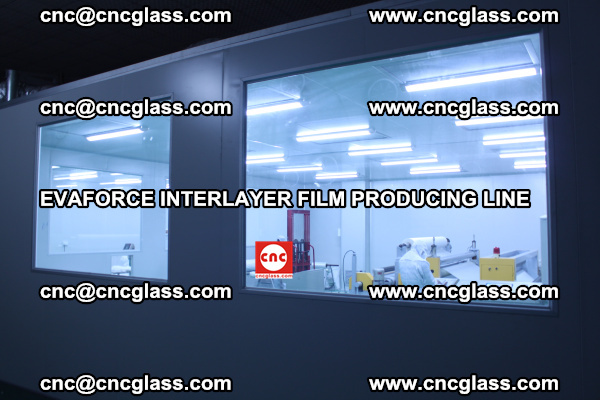 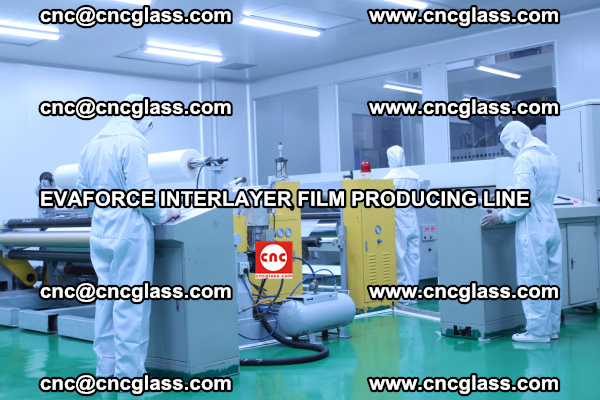 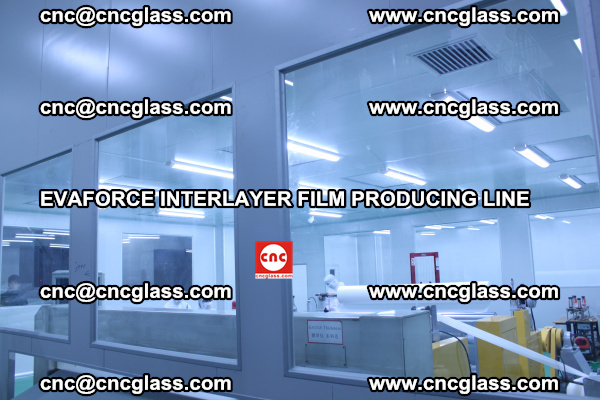 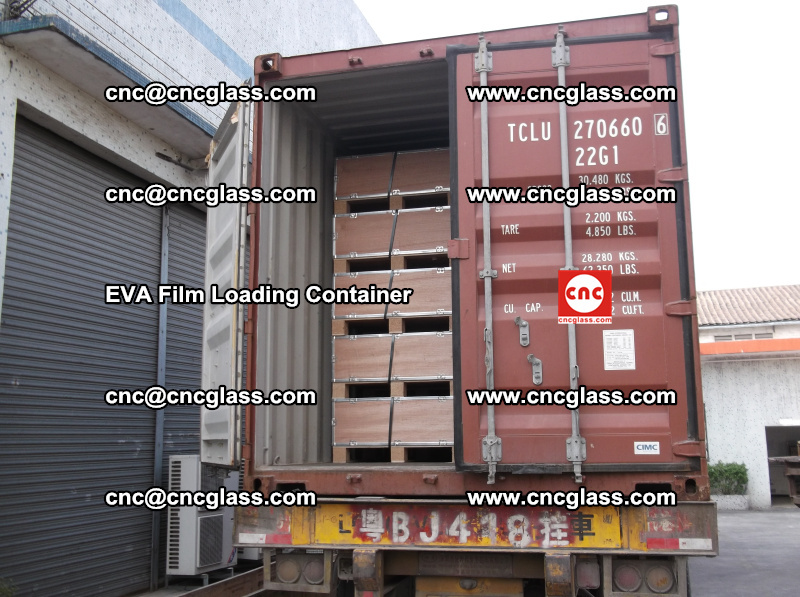 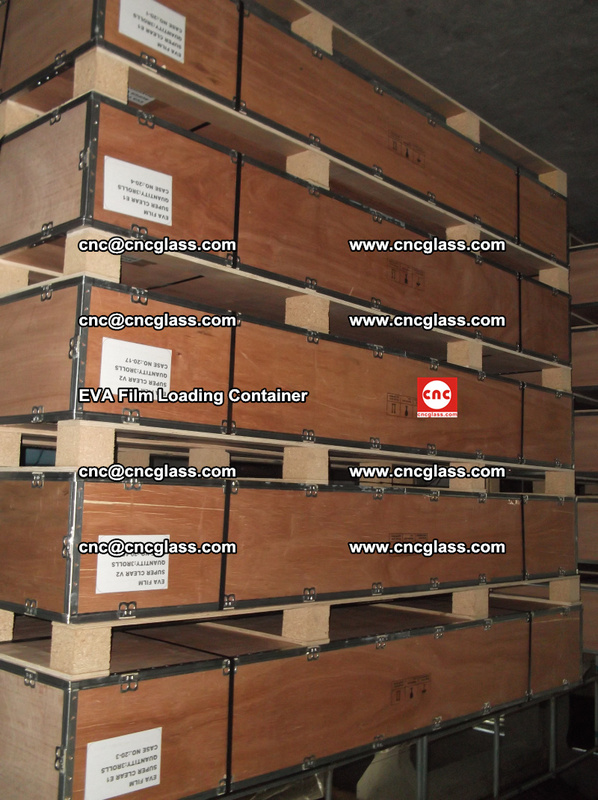 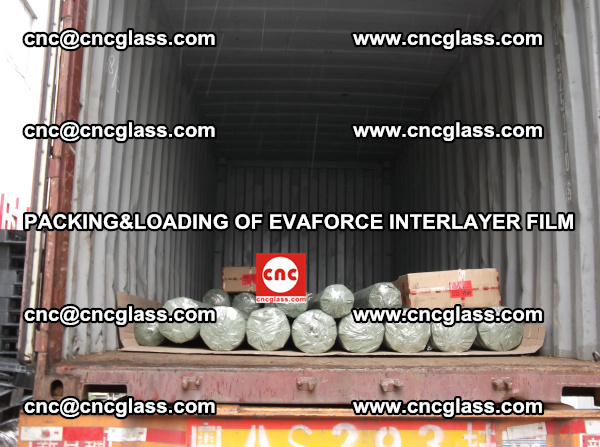 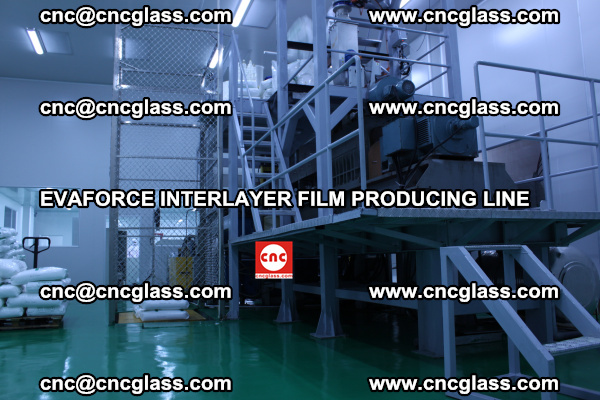 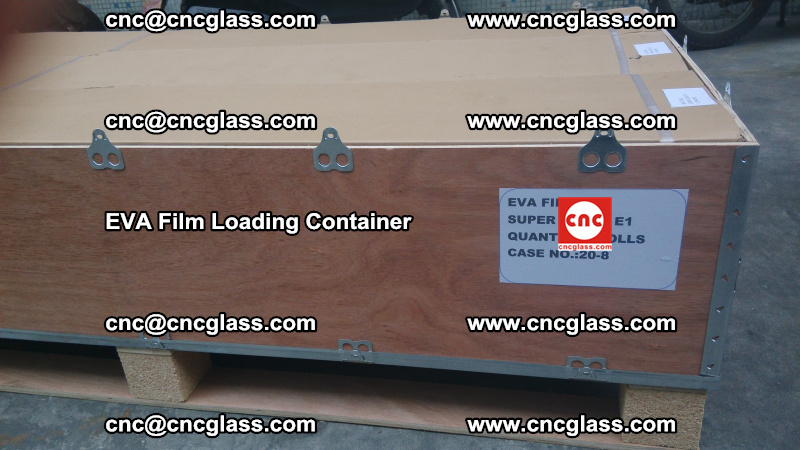 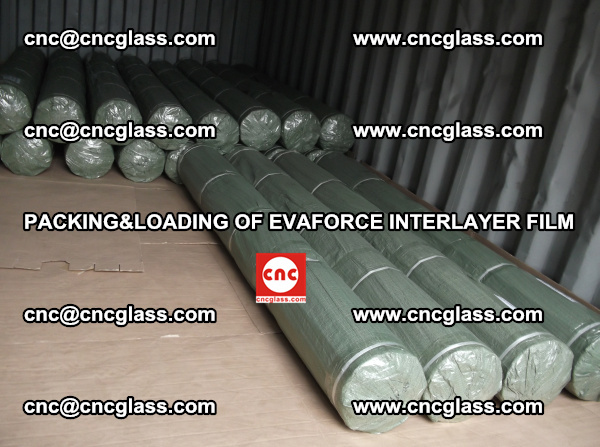 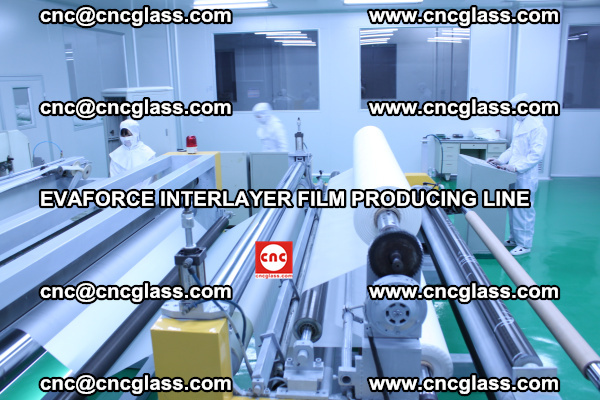 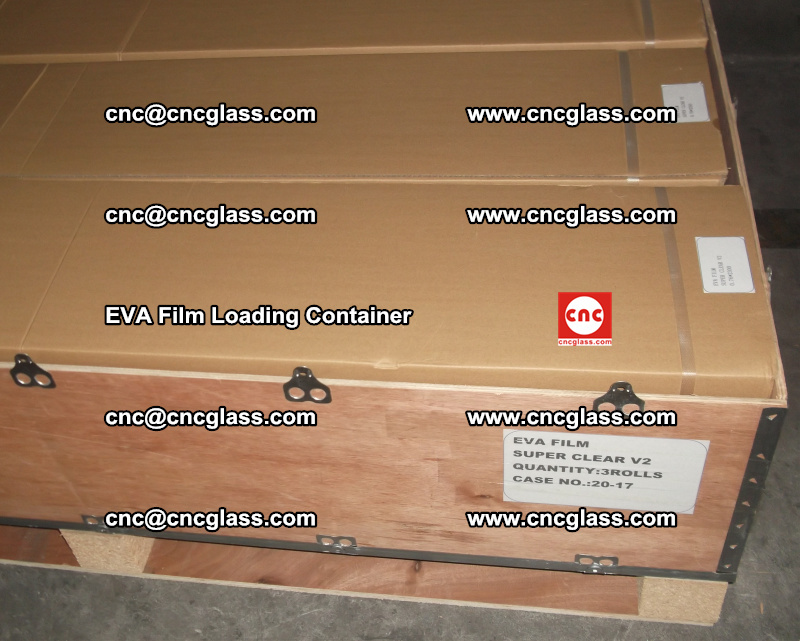 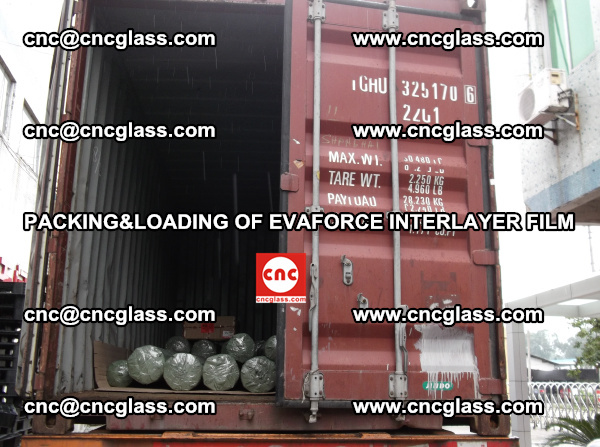 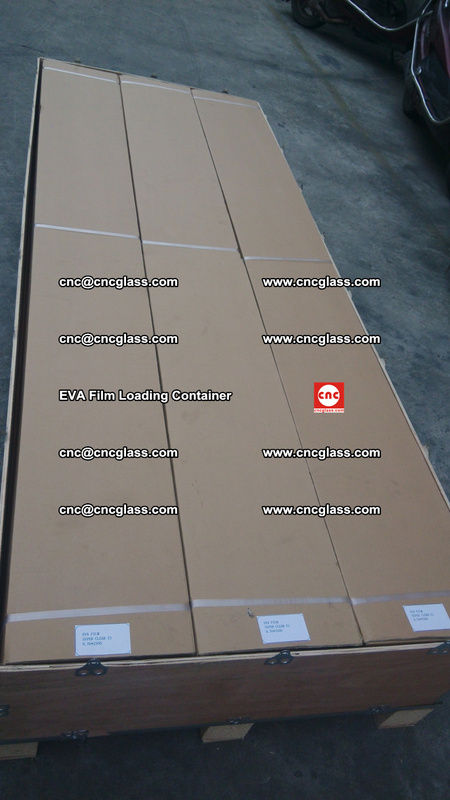 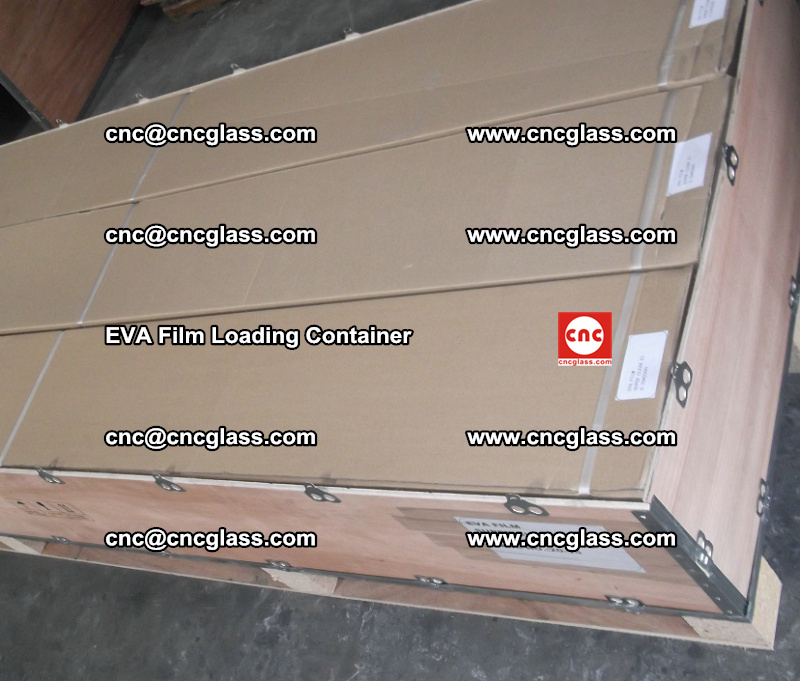 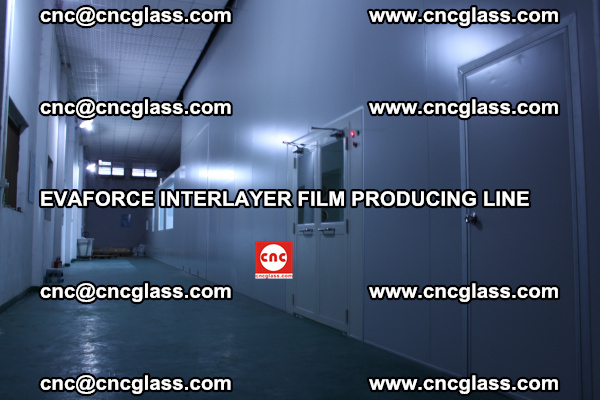 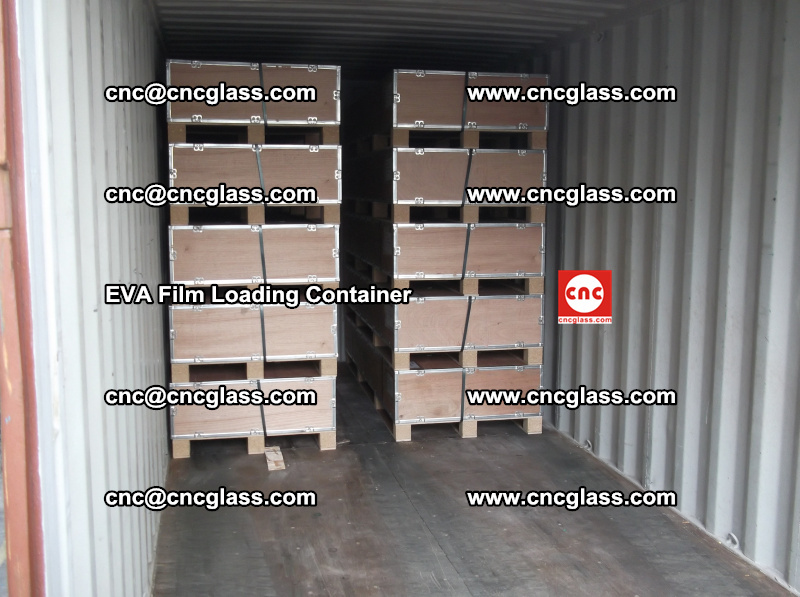 Make the laminated glass with EVA FILM subjecting to 2000 hours of radiation. 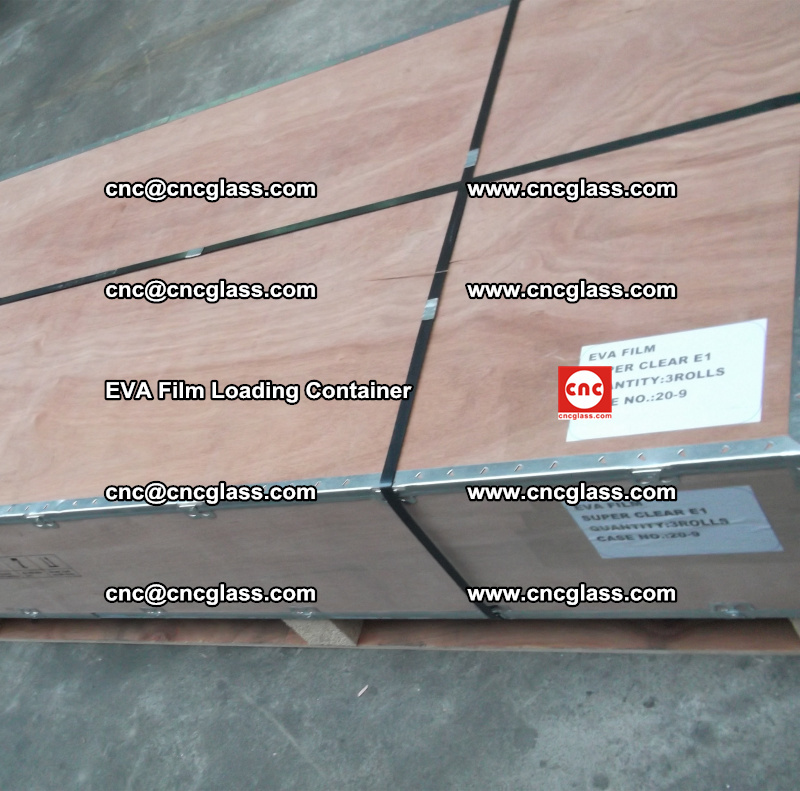 The samples of laminated glass with EVA Film are placed at a distance of 1,100mm from 16 ULTRAVITALUX lamps which was form a 1m*1m field. 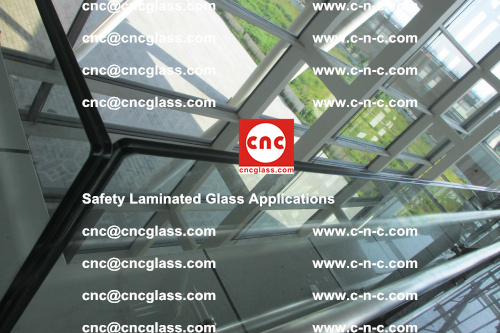 The temperature is maintained at 45℃ (5℃ tolerance )and the humidity is 50%. 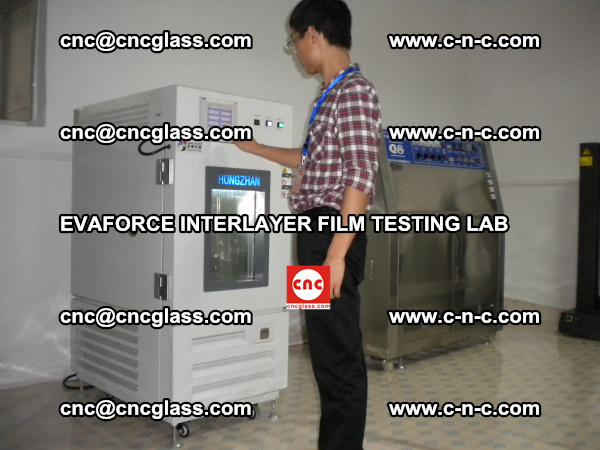 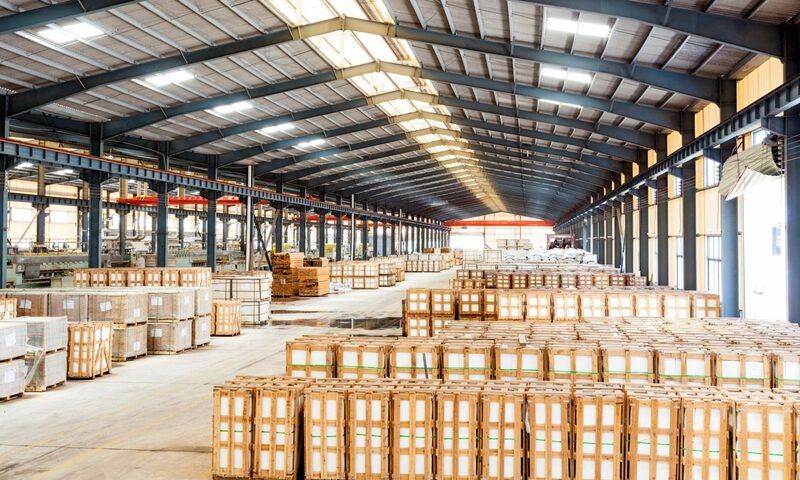 To measure the durability, the luminous transmission has been measured by the wavelength between 380nm and 780nm before 2,000 hours of exposure to the ULTRAVITALUX lamps. 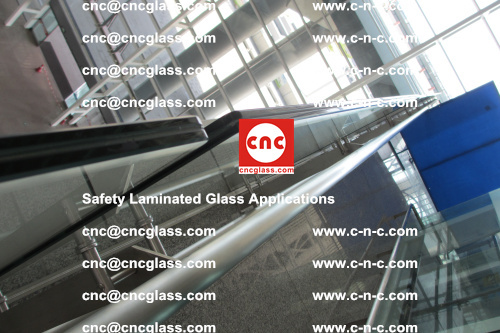 A minimum 3 transmission measurements have been taken from each laminated glass sample and the average has been calculated from these data.